I am currently a Lecturer in General Dentistry, ), Clinical Lead for Exeter Dental Education Facility, Year 3 Lead 2015- and an honorary consultant in Special Care Dentistry for Peninsula Dental School, past Module Lead for Personal and Professional Development (PPDemployed by Plymouth University. Peninsula Dental School is based in primary care. The students treat the patients for whatever treatment is required in a holistic manner. I have re-written and reorganised the PPD Module in accordance with the new General Dental Council (GDC) publication; Preparing for Practice. This is a large piece of work as professionalism is at the forefront of a dental activities, I worked closely with other colleagues to ensure that the PPD module is compatible and fully integrated with all other modules of the dental curriculum. My other responsibilities within PPD included being an academic tutor to 20 students. The PPD module has also led me to begin to create different ways in which to assess professionalism. I liaised closely with the external examiner, from Manchester Dental School and Cardiff Dental School for the PPD module. 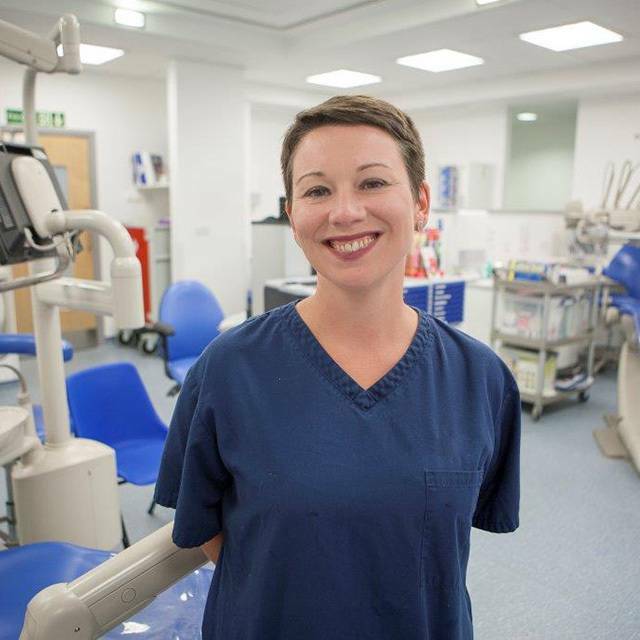 As a clinical academic I lead a paediatric dentistry clinic in Truro Dental Education Facility, where I supervise Year 3 dental students. I treat patients, who have been referred to me through Peninsula Dental School, who are children or who have a special care need. In Exeter DEF I am Clinical Lead and CQC registered manager. I work with the senior nurse to ensure the smooth running of the clinic and adherence to all policies and procedures. In Exeter DEF the Dental Practice Experience is set up to give final year dental students a realistic experience of working in General Dental Practice. I am line manager to the clinical supervisors who work in Exeter DEF. I am also the RPS for Exeter DEF. I am involved in standard setting for the Science for Dentistry Module examination and for the Applied Dental Knowledge Module examination. I have been an assessor in the Year 4 ISCE 2012, and in the Exit Case Final Year presentations. I attend The Teachers Group in Special Care Dentistry at the annual conferences of The British Society for Disability and Oral Health. I also attend the Teachers Group in Paediatric Dentistry at the annual British Society of Paediatric Dentistry. I am a highly capable leader and an enthusiastic team member in the dental environment. One of the most rewarding aspects of my post is working with the dental students. They are, on the whole, enthusiastic, articulate and knowledgeable. I am approachable, supportive, fair and when necessary firm, encouraging and bolstering the students to take accountability for their own learning. I take my part in creating safe, knowledgeable, competent and socially aware qualified dentists as a large responsibility, both personally and professionally. I hold a strong belief that patients should be treated in a caring and ethical manner at all times, with high quality dental treatment. Dentistry can, at times, be unpleasant for the patient and I feel that one of my primary roles is to make the experience as easy as possible for the patient. Current working days; I currently work on Tuesday, Wednesday and Thursday. I attend The Teachers Group in Special Care Dentistry at the annual conferences of The British Society for Disability and Oral Health. I have a passion for glass work. My favourite form of glass work is fused glass. I have a glass kiln at home and have attended many courses to instruct me in my techniques. Glass is so beautiful to look at and to touch and to experiment with; with endless possible exquisite outcomes. I also have basic silversmith skills and when the time comes I fully intend to work with silver in more concentration.